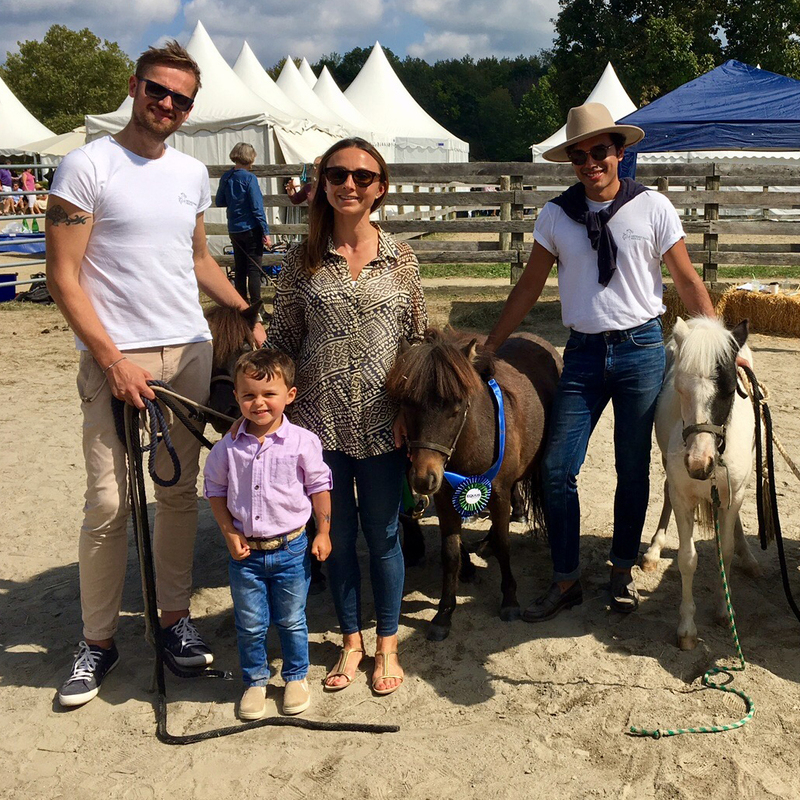 Houses for Horses is a partnership program for a special group of horse property owners who designate a percentage of the sale of their properties to the EQUUS Foundation. 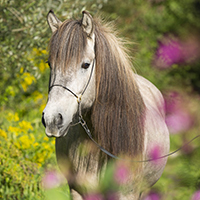 Our Houses for Horses partners are recognized as Horse Whisperers. A Horse Whisperer Award is awarded in the name of the property owners in the year that the donation is received by the EQUUS Foundation . 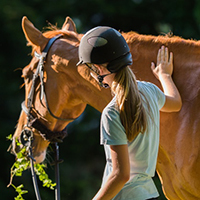 Horse properties come in all shapes and sizes - any percentage of the sale prices of horse properties provides much needed funding to protect America's horses and make the ability of horses to empower, teach and heal available to more people. Learn more about Houses for Horses! The infatuation with horses usually begins at an early age with a pony ride, but for Mike Gaynor, it was much later in life. When he first saw the Central Park Rangers, a unit of full-time and seasonal uniformed mounted police officers who enforce parks department rules and regulations, on patrol, Mike became a volunteer ranger too and, with his wife Kerry, set out to have their own horses! Being 6'4", the logical choice was Clydesdales. 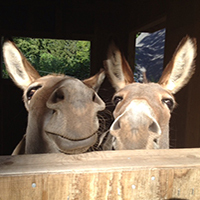 They chose the Wolffer Estate Stables in Sagaponack, New York, to be home for their Clydesdales, Mike, Ike and Sam. As their love for horses grew, Mike and Kerry set out to preserve and restore one of the last remaining original potato farms in Sagaponack, owned by the same family for generations, situated directly across from Wolffer Estate Stables on Narrow Lane East to keep open land available for horses. Impeccably restored and with the desire to inspire philanthropy through the sale of equestrian properties, the Gaynors pledged 1% of the sale of their multi-million dollar property to the EQUUS Foundation. We are pleased to report that the EQUUS Foundation received a $110,000 donation when the property sold. 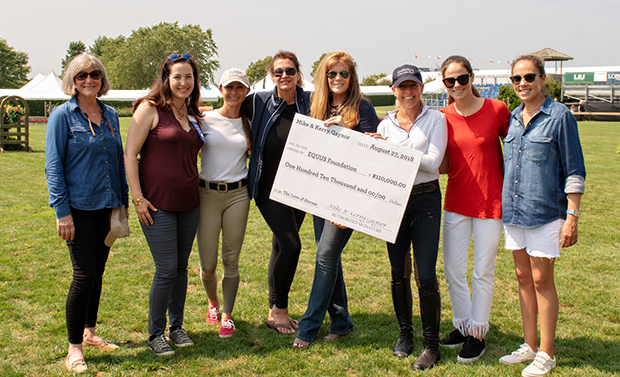 The check presentation was held at the 2018 Hampton Classic. Contact us at mail@equusfoundation.org for more information. 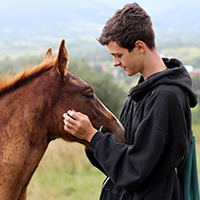 Unrestricted grant are grants that may be used to provide financial support to any of the recipients deemed worthy of award by the Board of Directors of the EQUUS Foundation. 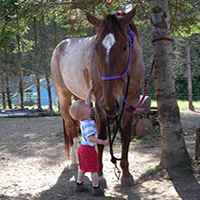 Field-of-interest grant are grants where the donors may designate a particular area of charitable interest for the award of a grant, such as programs focused on improving the quality of life of horses, or programs providing opportunities for horses to impact people's lives, especially people with special needs. We will work with you to define your specific interest.